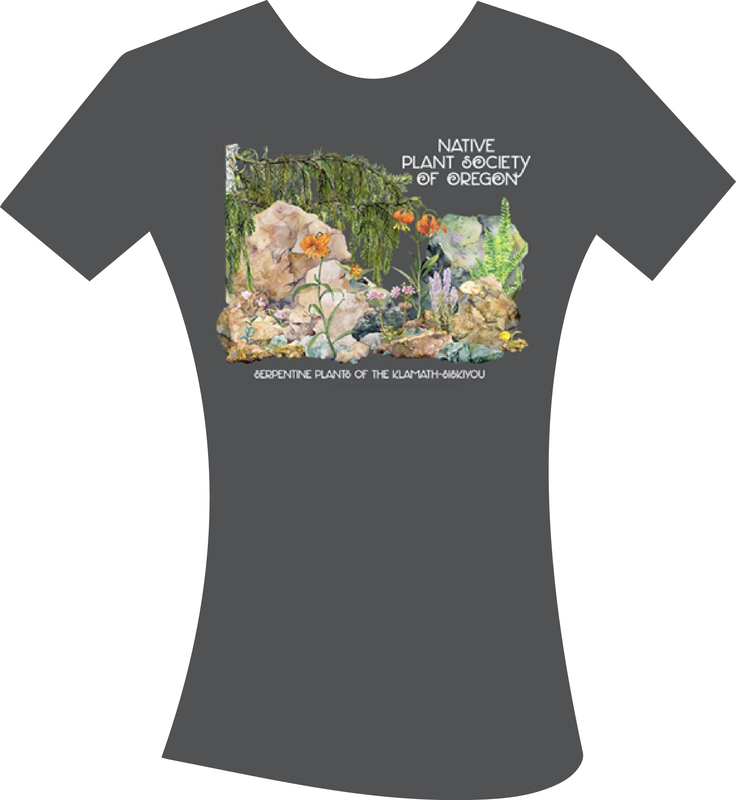 Free with your registration materials! - A bamboo utensil set (knife, fork spoon, and chopsticks). Fun, colorful, practical, and best of all - no more plastic forks and spoons! Colors from left to right: Agave, Hijiki, Mulberry and Indigo. 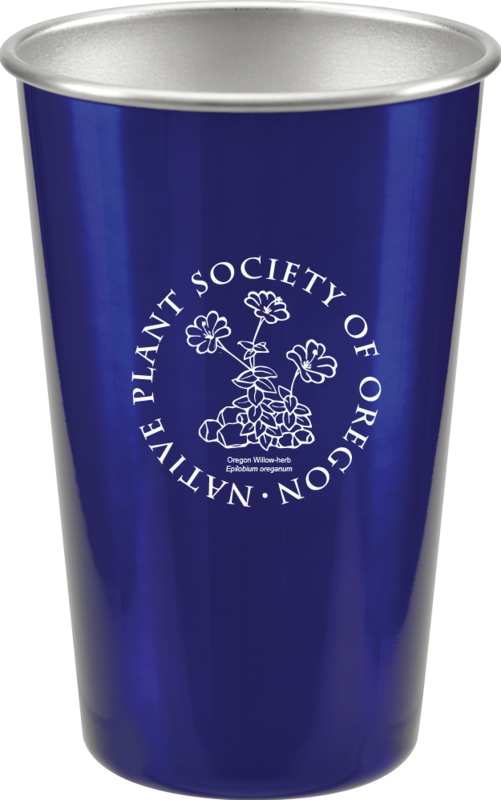 And that's not all... We are also including a Steelys food-grade stainless steel cup for use during our Zero-Waste event. We hope you will use this for years to come! 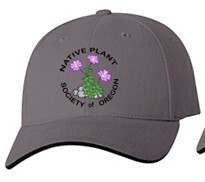 Shirts and hats must be pre-ordered when you register to be sure of getting one of these remarkable items. 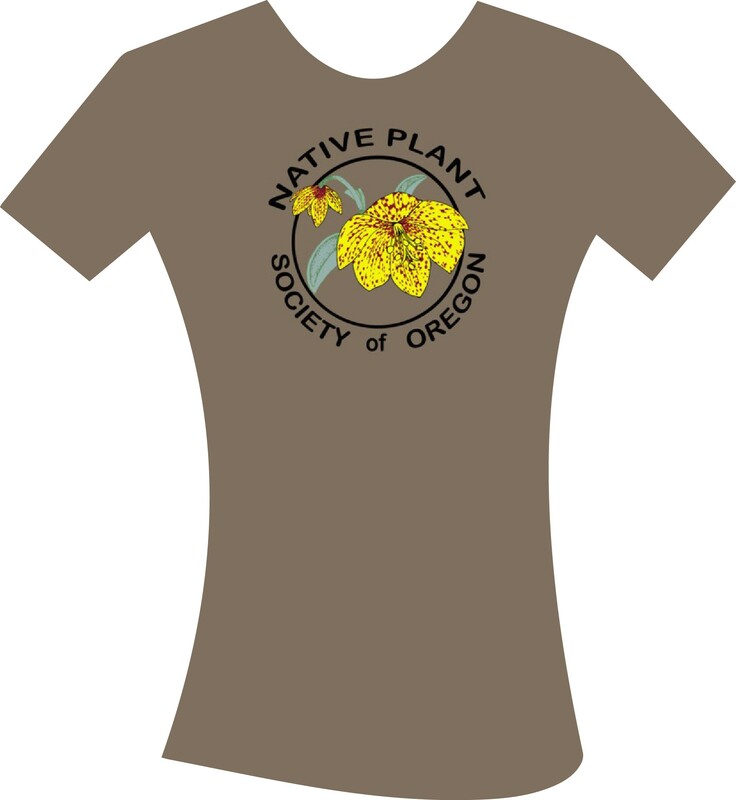 When you register, for each shirt you will need to specify the style, type, and size (note: the women's shirts seem to run a bit small). Organic cotton with Serpentine Habitat. Custom local art by Mary Hills. Available in classic unisex and women's cut. Women's color is Charcoal. Unisex color is Loden. 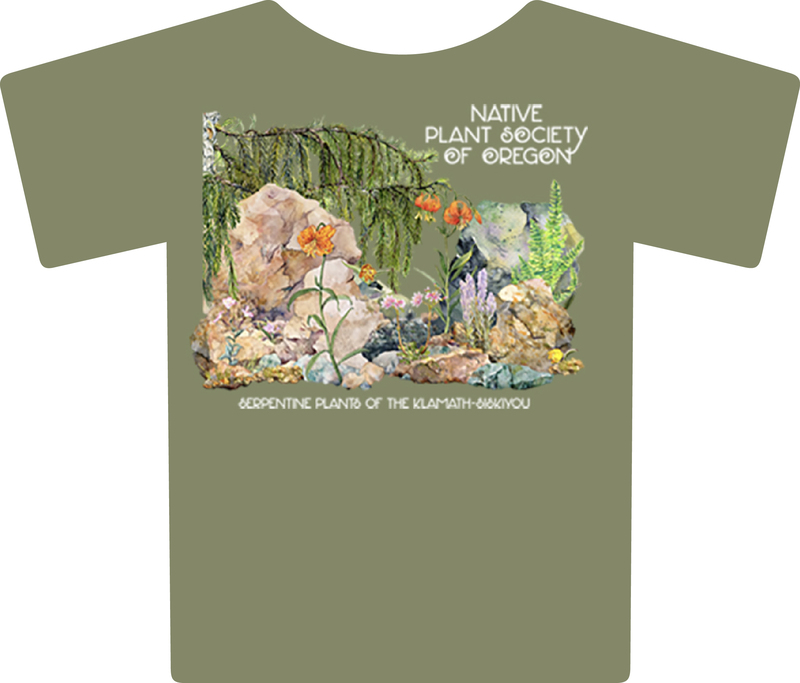 Organic cotton with Siskiyou Fritillary custom local art by Ben Ey. Available in women's cut and classic unisex. Color: Taupe. 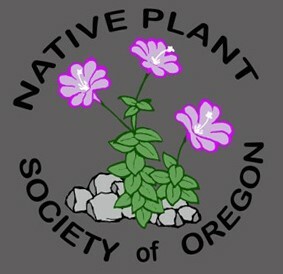 Organic cotton ball cap embroidered with the 2019 Annual Meeting logo, Siskiyou willowherb. 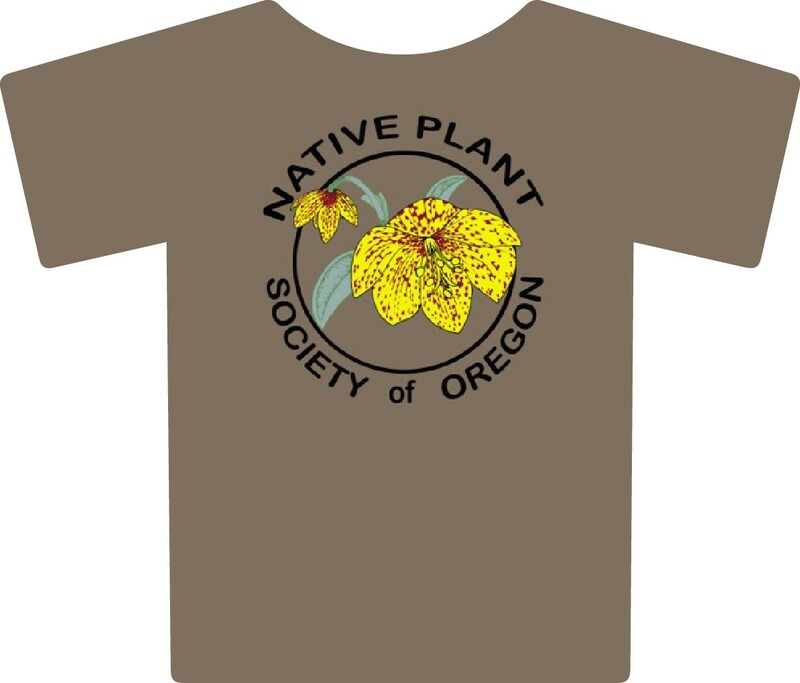 The back is embroidered with "2019 Klamath-Siskiyou".